It’s a phrase that you will hear a lot on my blog and the ABCJLM Preschool Curriculum website. And with almost 1.5 million search results on Google, it is a phrase that you have probably heard a plethora of other places as well. Wikipedia says a “teachable moment, in education, is the time at which learning a particular topic or idea becomes possible or easiest.” This, however, is only a portion of what I am talking about. Beth Lewis on About.com defines a teachable moment as “an unplanned opportunity... where a teacher has an ideal chance to offer insight to his or her students.” Now we are getting somewhere. 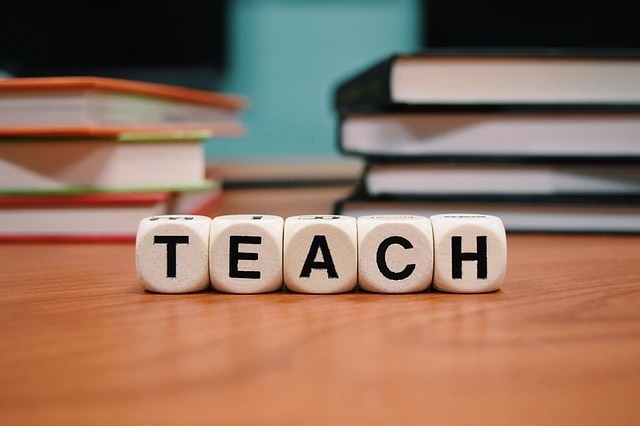 I would go further to define a teachable moment as an unplanned, God-given opportunity that arises with your child or student, that, if grasped, provides an ideal chance for learning to occur. It is the personal implication of the moment that provides for the maximum amount of learning. These are the important parts of a teachable moment. They just happen. Manufacturing the moment doesn’t produce the same interest or personal impact that an unplanned moment has. I believe God’s hands are on every situation we encounter. He provides opportunities for us to "impress upon our children" who He is and how much He loves us. The Holy Spirit will guide us to recognize and have the words to explain the moments when they arise. This can include academic, social, and Biblical learning. Teachable moments are opportunities God has given us to make a deep impression of Him on them. While driving in the car, your child points out a beautiful rainbow. This is a teachable moment to tell the child about God’s promise to Noah. You run into the grocery store to purchase a gallon of milk. The checkout lines are long, but someone notices that you only have one item and allows you to go ahead of them. This is a teachable moment to talk about kindness. Your child is helping you bake cookies. Even though it takes longer, you allow her to stir, unwrap, and dump ingredients. These activities allow the child to improve gross and fine motor skills and counting. And another teachable moment occurs when you allow the child to give the cookies to a neighbor and discuss how giving to others is showing love. I could go on and on. Teachable moments are all around us. I have learned that I must slow down to take advantage of the fleeting moments. And I have to be dialed into the Holy Spirit to recognize them. Because a teachable moment requires no preparation and these opportunities are unplanned, the moment can occur anywhere, at any time. Of course moments of discipline and training provide great opportunities for teachable moments. Before bed is another time, as it provides the child an opportunity to process his or her day. Teachable moments also occur when we are driving to and fro. Because the kiddos are secure in car seats, they have nothing to do but think, and I have nothing to do but drive and answer their questions. Little Man: I think I want to be a fireman. Peanut: I want to be a doctor. Mommy: Those sound like fun things to be, if that is what God wants you to be. Little Man: What does that mean? And so the conversation goes. A random comment about a future profession turns into a talk about following God’s will. I’ve also found that silence in the car leads to some great teachable moments. Suddenly a child will speak a thought that he or she has been pondering, which leads to wonderful conversations. But in order to take advantage of these driving moments, the cell phone and DVD player must be off. How many conversations we miss because of electronics! I’m going to case a rabbit trail for a moment. I just encourage you make electronics an exception instead of a rule. You will never regret the conversations that occur without them. As stated in my definition, I believe teachable moments are God-given. He provides us with the opportunities to train and impress upon our kids. It is our parental responsibility to take advantage of these opportunities. When we begin to listen, the Holy Spirit will open our eyes to see these moments. He will also bring to mind Bible stories and verses that we can pull into the conversation with our children. I believe that there are two enemies of teachable moments: time and laziness. It is much easier to let a moment pass by, or never allow the moment to occur in the first place. I’ll be honest, conversations to this level can be taxing on the brain, and sometimes require a large chunk of time. Yet, I am constantly reminded of how I need to be intentional with the time I have been given with my little ones. Be encouraged as you remember that teachable moments can occur anywhere and any time. All we have to do is look for them, listen to the Holy Spirit’s prompting, and take the time to develop the moment. 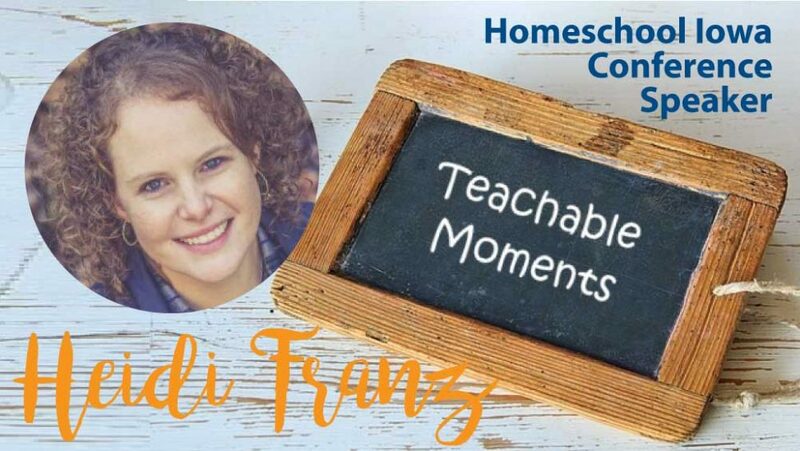 Check out the workshops that Heidi will be offering at our 2018 Homeschool Iowa Conference, and plan to join us on June 1-2!